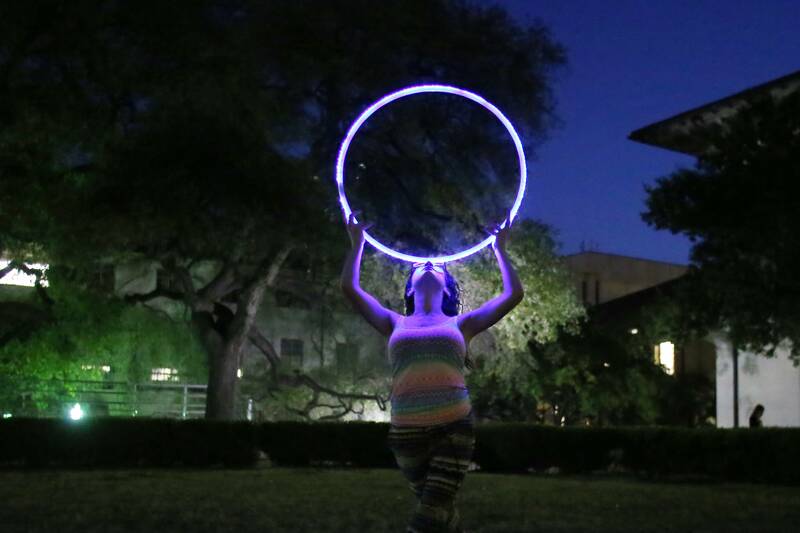 Biology freshman Erica Wood hula-hoops in front of the Tower on Tuesday evening. Lisa Boone and Gina Tonic talk after a CLAWstin photoshoot at Cheer Up Charlies. 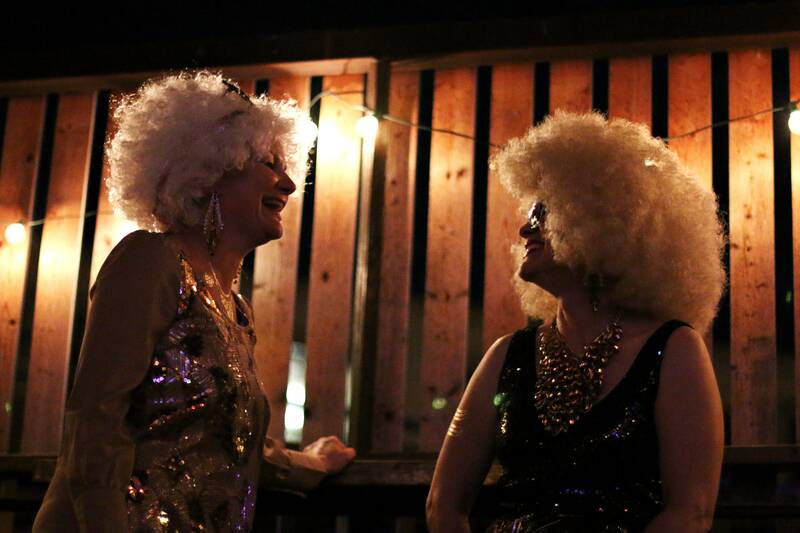 CLAWstin is Austin's branch of Collective of Lady Arm Wrestlers, a national not-for-profit alliance of theatrical lady arm wrestlers that raise money for charity. Run by the multimedia team, this is a space for photographers, videographers and other visual storytellers to discuss the craft of documenting the world and features an aggregate of visual outtakes not found in The Daily Texan.